Halloween is the second most “decorated” holiday after Christmas and improperly-used decorations cause a significant increase in home fires, burn-related injuries and accidents. Follow these helpful tips to keep Halloween safe and fun while avoiding scary and dangerous situations. Clear the path – Make sure your front porch and the pathway to your front door is clear of any tripping hazards. Check the lighting on paths and porches. Replace any damaged or non-working bulbs. Lose the candles – Use LED lights or battery-powered candles to avoid fire hazards. Look for the UL Mark – When choosing lighted decorations, look for the UL mark that ensures the product has been tested and meets rigorous safety standards. Avoid overload – Make sure your extension cord is the proper amps for what you’re plugging into it. Check the cord for damage and if any part of the cord, the plug or the socket is hot, discontinue use. Stop with staples and no to nails – Don’t use nails or staples to tack up lights. They can puncture electrical wires and cause electrical shock or even fire. Instead, use special hangers for decorative lights. Talk Safety – Remind children to stay away from any electrical cords, open flames including jack-o-lanterns with lit candles. 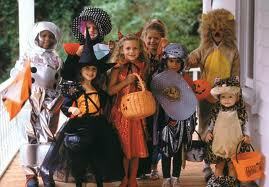 Also, use glow sticks or a flashlight as part of their costume to make sure they are visible. aware of potential dangers and do everything you can to keep your home and others safe.